New studies continue to link physical exercise to the diversity in gut bacteria. One of the most powerful discoveries is that exercise alone has the ability to change your gut microbiome. A new study at the Institute of Biomedicine at the University of Turku in Finland, examines the correlation between endurance exercise and bacteria. Researchers found that exercise can boost the production of short-chain fatty acids (SCFAs). This bacteria helps with inflammation and keeping your get healthy. The study enrolled 17 women who lived sedentary lifestyles, but were other wise healthy, into a 6-week program of bicycle endurance training. They did not change anything about their diet during this program. Previous studies have found the bacteria Akkermansia was more commonly found in people who are physically active and may even protect individuals from diabetes and obesity. The scientists believe that if the training program continued, they would have seen greater effects on the participants gut bacteria and overall health. Join us to learn about the exciting advances in our understanding of the pathology of diabetes and novel approaches to prevention. We will discuss trends in diabetes diagnosis and classification. The role and importance of gut bacteria in the pathology of type 1 and type 2 will explored. A detailed discussion on emerging research and clinical trial on interventions to delay or prevent diabetes is also included. Resistance exercise uses more muscles than just walking. It uses upper body muscles that are rarely used in modern society today. Resistance training also maintains or increases lean muscle. This helps to burn calories at rest throughout the day. This is important for weight control and diabetes management, especially as we age. The ADA Standards of Care – Section 5 – Lifestyle Management, recommends that people should perform resistance training involving the major muscle groups at least 2 times per week. How do educators help patients get started?There are many different ways incorporate resistance and strength training. Examples include free weights, resistance bands, rubber tubing, or even our own body weight, just to name a few. The key is choosing a resistance program that steadily and systematically loads muscles to increase their ability to take greater loads. Focus on strengthening major muscle groups: Start with 6-8 exercises that target major muscle groups (upper body, core and lower body). It is also important to work opposing muscle groups. For example, work both biceps and triceps not just biceps. Start with 2 sets of 8 repetitions for each of the exercises twice a week. With a goal of working up to 2-3 sets of 12 repetitions twice a week. Slow, controlled movement using full range of motion is the goal with each repetition. Start with a weight or resistance level that is challenging, but doesn’t completely fatigue the muscle after 1 repetition. Perform that exercise for 2 sets. If rating is less than “somewhat hard”, increase resistance. If rating is somewhat hard to hard, start with this resistance. Perform the exercise to momentary fatigue counting the number of repetitions. If person can do more than 12 repetitions without fatigue, then increase the resistance by about 5% in the next session. If there is momentary fatigue in less than 12 repetitions, keep the resistance the same the next time. Indicators of fatigue include increased speed of movement, deteriorating exercise form and full available range of motion (ROM) is not completed. What kind of resistance training equipment do you recommend? Look for products that offers multiple options. Exercises bands often come in a light, medium, and heavy resistance. Look for adjustable weights that give options for increasing weight within one weight. Proliferative retinopathy or current retinal hemorrhage. Have a blood glucose meter accessible to monitor glucose levels before, possibly during, or after exercise or any time that symptoms of hypoglycemia occur. Immediately treat hypoglycemia with glucose tabs or 15 gram carbohydrate source. Stay properly hydrated with frequent intake of small amounts of cool water. Wear proper footwear, and check feet daily for signs of trauma such as blisters, redness, or other signs of irritation. Product resources: Here are just a few places to find exercise bands and weights. Contact a local outpatient Physical Therapy clinic. If patients are concerned about starting a resistance training program because they have had injuries in the past, muscle imbalances, or unique physical circumstances, recommend they see a Physical Therapist to identify potential issues and create a program that is specific to their needs. Physical Therapists are truly the movement specialists! Special thanks to our guest contributor, Diane Britton PT, CDE, CEEAA. She has been a Physical Therapist for the last 24 years working with adults in a variety of settings, including home health. Diane holds specialties in diabetes, aging and exercise, lymphedema and chronic illness. She resides in Colbert, WA. 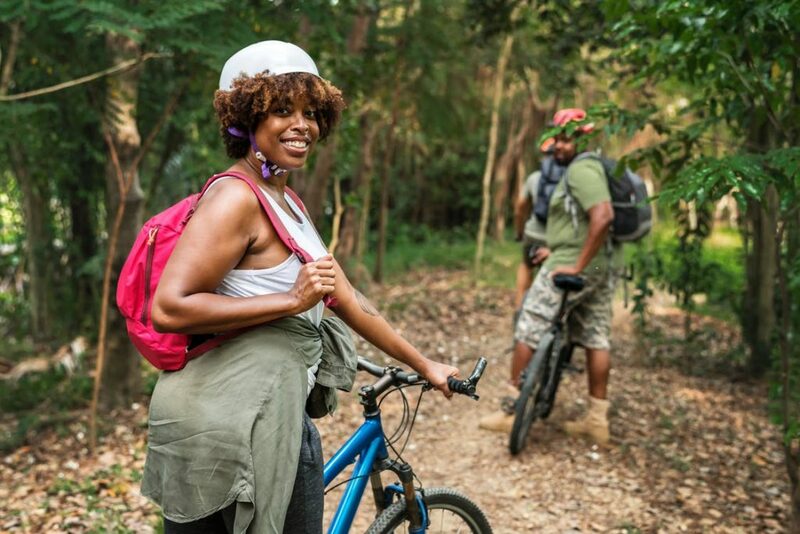 A study by the Proceedings of the National Academy of Science has found that short bouts of exercise might not only be linked to decreased risk of chronic diseases, but increased memory as well. This particular study involved 36 young men and women who all achieved adequate health status. Each subject was asked to participate in ten minutes of relaxed cycling on a stationary bike. All participants were then asked to undergo memory testing directly following physical activity. Sixteen of the participants’ brain scans demonstrated a trigger of communication between the hippocampus and cortical brain regions directly following exercise. This particular piece of information is interesting considering both of these regions play a key role in processing memories. The length of the time that this trigger occurs is not yet known though the lead scientist on the study has reason to believe that it may last at least 15 minutes. For more information on exercise and improved memory, visit short bout of exercise might boost your memory. Strong bodies may build strong minds, according to a meta-analysis conducted by JAMA Psychiatry in June 2018. The physical benefits of weight training have been well known and documented for years. 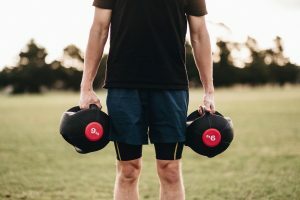 However, this series of 33 clinical trials is demonstrating a clear connection between strength training and reduction of depressive symptoms. The study assessed various factors such as training volume, strength or muscle mass increase, and health status and found that none of these had a significant impact on decreasing depressive symptoms. Age did not seem to have a significant impact either, as participants of all ages experienced the same impact on their mental health. As long as the participants were strength training anywhere from 2-5 times a week, they would benefit. This meta-analysis did not assess or compare any other modes of exercise to strength training. 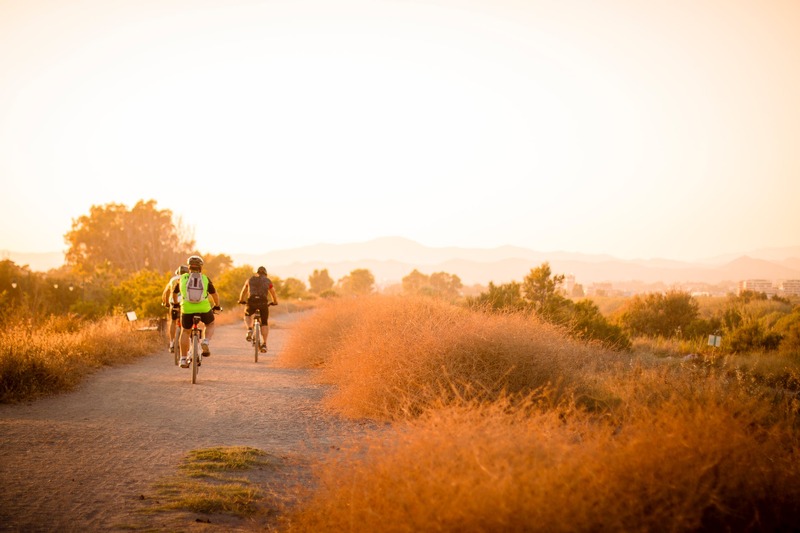 It is possible that other physical activities may have a similar effect on mental health. Strength training should not be used as a replacement for traditional treatments and medication and should only be used as a supplement to treatment for clinically depressed individuals. For more information on weight training and its effect on reducing depressive symptoms, visit Weight Training May Help to Ease or Prevent Depression. Click here to enjoy additional Exercise Resources! Anne and Bev lifting weights at 2:00 p.m., during the afternoon slump! Every year on the first Wednesday of May, the American Diabetes Association presents “National Get Fit Don’t Sit Day,” to help spread the word on the dangers of sitting for long periods of time. Here at Diabetes Education Services we believe creating healthy daily habits is imperative, particularly in the workplace. We will be participating this year by doing fun stand up exercises each hour to ensure we aren’t sitting for too long! The ADA recommends light physical activity every 30 minutes. Anything from walking to leg extensions at your desk. Help us spread awareness by telling your colleagues and community about National Get Fit Don’t Sit Day! How sedentary is your lifestyle? There are many opinions on what the best exercise routine is. 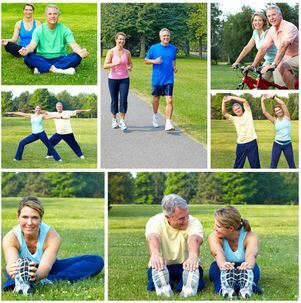 Coach Beverly also provides many helpful Exercise Resources to help you and your patients stay active and healthy! Here at Diabetes Education Services, we walk on a treadmill desk and do strength training every day! How do you stay fit?